Uganda has developed a harmonised Nutrition Advocacy and Communication strategy. The Government of Uganda recognizes the need to ensure that its population is well nourished. the President in November 2011. 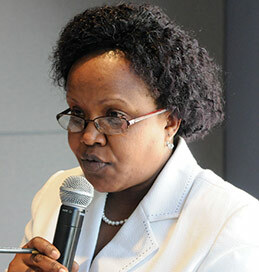 The implementation of the UNAP, taking a multi-sectoral approach, is coordinated by the Office of the Prime Minister. There has been considerable progress since implementation of the UNAP. Major achievements include the formation of District Nutrition Coordination Committees, oriented to the UNAP, that are developing action plans in 31 districts 3. A further 81 districts are planned for in 2014. In addition, the first National Nutrition Forum took place in December 2013 hosted by the Prime Minister where all stakeholders came together to re-affirm their commitment to the multi sectoral approach to scaling up nutrition in Uganda. A community behaviour change communication video initiative is underway. Village health teams use videos to create dialogue on nutrition at community level supported by USAID and the Strengthening Partnerships, Results and Innovations in Nutrition Globally (SPRING) project. The Office of the Prime Minister, through its Uganda Nutrition Action Plan (UNAP) Secretariat is leading the development and finalization of the National Nutrition Advocacy and Communication (NAC) strategy. The UNAP Secretariat brings together the relevant line ministries and sectors, United Nations (UN) agencies, development partners, civil society, the private sector and academia in the implementation of the UNAP and all these stakeholders have been involved in the development of the NAC strategy through a NAC Taskforce. The Uganda SUN Movement Civil Society group (UCCO-SUN) has been particularly active in the development of the NAC strategy, and will continue to contribute through activities at national and decentralized levels. The UCCO-SUN has a funded advocacy project aimed at high-level policy makers and decision-makers. governance. The other two components have been finalized recently and now the three sub-strategies are being merged into one harmonized strategy. The NAC strategy is organized under a set of overarching priorities and includes communication activities to enable the three components to build upon one another. The strategy is largely built upon the UNAP. The Cost of Hunger study in Uganda set out to estimate the additional cases of morbidity, mortality, school repetitions, school dropouts, and reduced physical capacity that can be directly associated to a person’s under-nutrition before the age of five, and the associated costs to the economy. National data sets were examined, including the Uganda National Household Survey 2009/2010, Population and Housing Census 2002, Demographic and Household Survey 2011 and previous data sets with the addition of some primary data. system and caretakers. Stunted students are more likely to drop out of school altogether. An estimated 54% of the working population in Uganda or 8 million people are estimated to have been stunted as children and to have lower productive capacity. The total losses associated with child nutrition in Uganda are US$899 million equivalent to 5.6% of Gross Domestic Product (GDP) per year. Pillar 4: Accountability (collective responsibility for all nationals). It should be noted that all the four pillars have implications for activities at national, sub-national, community and even household level. The aim is for messages at all levels – for individuals, communities, districts, and at national level – to be coherent and aligned. The strategy also includes measurable success indicators, and will eventually include a limited number of impact indicators. A monitoring and evaluation plan is being developed to accompany the strategy and action plan, and will be implemented following the launch in August 2014. Through the Ministry of Health community nutrition programme and support from various development partners’ activities at district, county, sub-county and community levels, behaviour change communication activities are taking place regularly. These include community nutrition demonstrations, counselling, growth monitoring and promotion activities, world breastfeeding week, and health days, for example, which promote healthy behaviours and service delivery. The NAC strategy and action plan will enhance and build on existing activities, and increase the capacity of service providers, especially at community and service-delivery levels, to promote improved healthy nutrition behaviours. A proposal is being prepared to establish a UNAP knowledge management facility/repository, which would assist various stakeholders, including the NAC Taskforce to systematically record innovations and experiences, and share them throughout the country. In line with the above, materials are currently being reviewed, updated and new tools and materials for nutrition advocacy will be developed. By the end of 2014, the repository will be available and tools and materials ready for sharing. The first step in addressing these challenges has been the creation of an action-oriented Task Force, led by the UNAP Secretariat and aimed at carrying out specific actions to create the NAC Strategy and action plan. Through various development partners including USAID – SPRING, international experts have been brought in to provide advice and technical support (e.g. MANOFF Group5) for the NAC strategy. Individual projects/ agencies have brought technical support from headquarters and in the form of technical consultants. Additional assistance, in the form of materials, ideas, and experiences from other countries would be most welcome. Exchange visits to observe and learn from other countries would be very beneficial. Strategy 1.2: Address gender and socio-cultural issues that affect maternal, infant and young child nutrition. Strategy 2.3: Promote consumption of nutrientenhanced foods. Strategy 3.2: Promote social protection intervention for improved nutrition. Strategy 4.1: Strengthen the policy and legal frameworks, for coordinating, planning and monitoring nutrition activities. 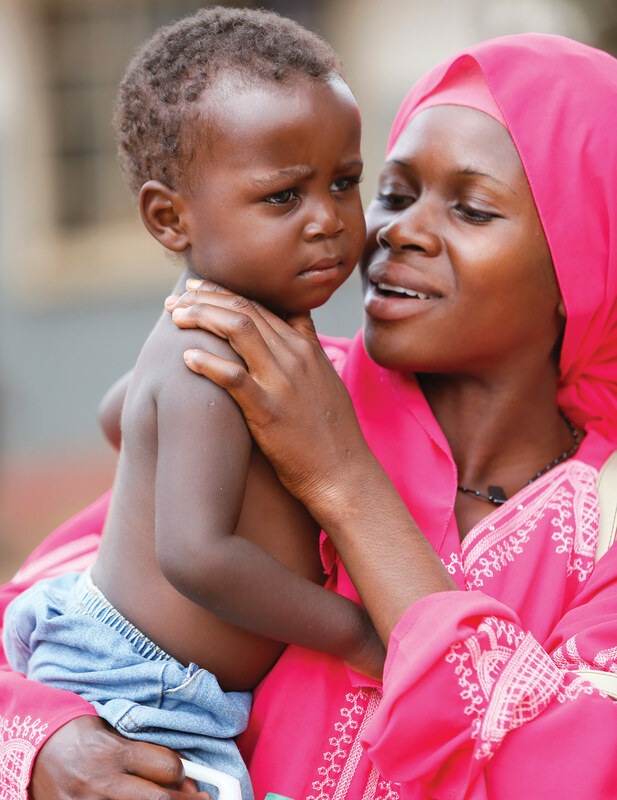 Working together for a common result – in this case the NAC strategy – has been a major learning and productive experience for stakeholders committed to scaling up nutrition in Uganda. By bringing together different partners and stakeholders to support government and each other, the competitive advantages of different groups have been maximized. Employing a consultative approach to strategy development has yielded very beneficial results.